Remodeled Bi-Attached 2 Story! 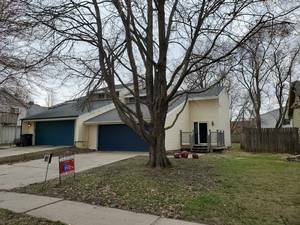 Updated Carpet, Tile, Vinyl Plank flooring, Kitchen, Granite Counters, Baths, Replacement Doors & Windows, Roof approximately 5yrs old! Kitchen has tile Back splash and Gun Metal Appliances: Refrigerator, Stove, Dishwasher & Microwave. Dining area just off Kitchen with Slider to patio & fenced yard. Living Room has Fireplace and connects to Ceramic Tile Entry. 2nd Floor has Master Suite with Full Bath & Walk-in Closet. 2nd & 3rd Bedrooms both good-sized with double closets. Additional Full bath also remodeled! Full Basement with partial finish, 2 Car Attached Garage & Whole House Fan! JOHNSTON SCHOOLS!! Learn more about our Mortgage Companies partner.